WELCOME TO AHN'S TAE KWON DO ACADEMY! We Know You'll Love All We Have To Offer, But If You're Still Not Sure, Register For Our Summer Special. You'll Enjoy UNLIMITED Classes Until 8/15 AND Get Your Own Uniform FREE! Any holder of this consumer credit contract is subject to all claims and defenses which the debtor(s) could assert against the seller(s) of goods and services obtained pursuant hereto or with the proceeds hereof. Recovery hereunder by the debtor(s) shall not exceed amounts paid by the debtor hereunder. Under the terms of this agreement, the school obligates itself to furnish the student(s) listed on the first page of this agreement with professional instructions and suitable facilities for teaching Taekwondo lessons. All class sessions are supervised by qualified personnel trained in the procedures and traditions of the martial arts. The regular tuition is as much as $250.00 per month per person, but a substantial discount may have been provided to you by virtue of enrolling in a regular course. The school reserves the right to relocate or consolidate school locations within a ten (10)-mile radius of the current location. We will make a good faith effort to replace with comfortable facilities, but we do not guarantee the same. This notice of Consumer's Rights is an integral part of the application and agreement for membership. You have the right to cancel this agreement without any penalty or further obligation within three (3) days from the date of this agreement. 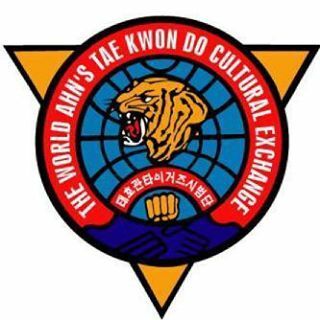 Cancellation must be in writing and delivered either in person or by registered or certified mail to Ahn's Taekwondo Academy at 1325 Rt. 206, Skillman, NJ 08558. Otherwise, you may cancel your membership in either of the following cases: 1) if you provide documented proof (including new permanent address, phone number, and new school registration if the member is a minor) that the student is moving his/her residence more than 25 miles from the school facility, or 2) if written proof (verified by a physician) is submitted stating that the use of our facilities and services during the term of this agreement would permanently impair the member's health. In either case, you authorize us to verify that the information you provide us with is correct. All programs offer credit for medical absence. For each continuous full calendar month a student (and all members receiving free and/or discounted memberships, such as parents in long-term programs) is/are absent for medical reasons during the term of this agreement (verified in writing by a physician), he/she will earn one month of medical absence credit. This credit will be applied as an extension to the end of this contract. Some programs also offer vacation credit. Again, for each continuous full calendar month a student (and all members receiving free and/or discounted memberships, such as parents in long-term programs) is absent during the term of this agreement, he/she will earn one month of vacation credit. This credit will be applied as an extension to the end of this contract. A student can earn both vacation and medical absence credit; however, if a student is absent for one or more full calendar months during the extension credit period, no additional credit will be given. If the school is closed for a month or more, you are entitled to your choice of either an extension of the agreement or a prorated refund, except if the closing is not the fault of the facility, in which case the choice or remedy is the school's. In order to cover the costs of registration, promotion, issuance of certificates and new belts, a testing fee is charged at each promotion test. If your checks for any payments under this agreement are returned for insufficient funds, you may be charged a bad check fee of $30.00, and when applicable, a late fee as well. In the case of cancellation of this contract, regardless of whether you paid in full or are/were making monthly payments, the total cost of your membership up to that point shall be calculated based on the no-contract rate of $250 times the number of months already used in your agreement. If this amount is more than what you have paid to date, you will be charged for the balance. If this amount is less than what you have paid to date, you will be issued a refund for the amount you have overpaid based on the no-contract price. If you have chosen a full payment option, you understand that the student's tuition owed is not affected by the student's lesson schedule and/or attendance. Similarly, if you have chosen a monthly payment option, you understand that your tuition is arranged to be made in monthly installments and is not affected by student's lesson schedule and/or attendance. You also understand that failure to complete the lessons does not relieve you of your obligation to pay the tuition in full. You give the right for the credit grantor to check your credit history. Ahn's Taekwondo has a right to modify your monthly payment due date (if applicable) to any nearest 5th increment (1st, 5th, 10th, 15th, 20th, 25th). You acknowledge that if a payment is not made within 10 days after it is due, you will be charged $20.00 or 5% of the amount in default. If you repudiate this agreement in writing, breach any provision, or do not make a payment within 10 days of your due date, we can suspend your membership privileges and require you to pay the entire balance of what you still owe. You will be in default if you have not paid us everything you owe by the scheduled end of this agreement, or if the entire balance of what you owe becomes due and you do not pay it off. After the scheduled end of this agreement, you agree to pay interest at the Annual Percentage Rate stated by law on the amount which you still owe until you pay in full. We may get a court judgment against you for what you still owe; in that case, you agree to pay any court costs and reasonable lawyer's fees involved in collecting this agreement to be set by the court. Any judgment shall bear interest at the highest rate allowed by law. If you change your membership plan by signing a new agreement which includes your old balance in the cost of the new membership, the new agreement will void the old one. However, cancellation of your new agreement will cause your previous agreement to remain valid and enforceable. While we do everything reasonably within our power to ensure your and the students' safety, all activities contain some inherent risk. You hereby represent that the student is in good physical condition to participate in the prescribed course of instruction. You understand and agree that the school, the owners, operators, or persons in charge of such establishment, or employees will not be held liable for any injuries, damages, loss, etc. Also, you agree that all activities are taken at the student's own risk. You hereby release, waive, discharge, and covenant not to sue the school for any accidents and/or injuries which may occur during any martial arts activity sponsored and/or organized by the school, including but not limited to regular classes, sparring classes, special classes, and special training sessions. You hereby release, waive, discharge, and covenant not to sue the school, the directors, the promoters, other participants, operators, officials, sponsors, advertisers, owners and lessees of premises used to conduct the event and each of them, their officers and employees, all for the purposes herein referred to as “releases” from all liability to you and/or the student(s) (referred to jointly and severally as “you”), your personal representatives, assigns, heirs, and next of kin for any and all damage, and any claim or demands therefore on account of injury to the person or property or resulting in your death, whether caused by the negligence of the releases or otherwise while you are in or upon the resurrected area, competing, officiating in, observing, or working for, or for any purpose participating in any activity sponsored and/or organized by the school. You assume full responsibility for and risk of bodily injury, death, or property damage, whether due to the negligence of releases or otherwise, while observing, working for, or for any purpose participating in any martial arts activity sponsored and/or organized by the school. You also agree to indemnify, save, and hold harmless the releases from any loss, liability, damage, or cost you may incur due to your presence in or observing, or working for, or for any purpose participating in the event and whether caused by the negligence of the releases or otherwise. You authorize the school and its agents, successors, and assigns to use media of you and the student(s), including but not limited to photographs, voice recording, and/or video, for any commercial purpose, including but not limited to the promotion and marketing of the school, and you agree that you shall not be entitled to receive any compensation whatsoever of any kind as a result of such use. By signing below, you and the student(s) agree to faithfully comply with all the rules and regulations of the school. The circulating or posting of petitions, notices, circulars, group protests or picketing, or statements of any kind are prohibited on the school premises unless previously approved by the school. In consideration of the training obtained, the member agrees that they will not, during the continuance of this agreement, and for a period of five (5) years following termination of their association with the school, directly or indirectly compete with the school or any of its affiliates, whether by owning, operating, managing, controlling, being employed by, participating in, teaching martial arts or offering similar training or instruction, or being connected in any manner with the ownership, operation, management, or control of any business similar to the type of business conducted by this martial arts school within a thirty (30)-mile radius of the school or any of its affiliates without the express written authorization of the same. The parties intend and agree that should a court find this restriction over-broad, the court enforces the restriction to the full extent legally permissible. In the event that the you student file a lawsuit against the school, you agree to do so in the State of New Jersey, and further agree that the substantive law of New Jersey shall apply in that action without regard to the conflict of law rule for that state. This is the entire agreement covering your purchase from us. It can only be changed in writing signed by you and us. We can waive or delay the enforcing of any of our rights under this agreement without losing them. Due to the short program length and the fact that this is a special offer, the 2018 Summer Special program does not offer vacation credit. It only offers medical absence credit if the student has not attended any classes during the term of this contract due to a medical reason (verified in writing by a physician). Students in the Summer Special program may take an unlimited number of classes per week. 15-minute classes (after regular 45-minute classes) are not included in this program.